Previous postWar and its Impact. The Wednesday Wars has a fun cover. Glad it was a good one. How’s In Pieces? Love Sally Field and always enjoy a good memoir or biography. Yes Sally Fields memoir was very honest and well written. Ah, hot and dry sounds lovely – our 7-day forecast shows no sun after tomorrow, just clouds, rain, snow, and a mix of rain & snow! I so want to read The Wednesday Wars – need to make time for it – glad you enjoyed it so much. We’ve had a pretty easy winter so far in Massachusetts, but that could still change! Today might have been another snow day (we had one last Tuesday) but we were already off today for the Presidents’ Day holiday. Made soup and am staying in all day, so I’m treating it like a snow day! I think I’ve read a book by Gary Schmidt before, but can’t remember the title. The cover of Grace After Henry is calling out to me. Did you like the book? Ah Grace After Henry was just a so so book for me Laurie. I always thought of Massachusetts as somewhere that would get a lot of snow! That middle grade book sounds yummy. I love that you have not made up your mind about what to read next…you can read whatever you want to and even change your mind! That’s so true Patty and to read what I feel like at the time. The Wednesday Wars does look fun. We’re looking at fairly mild temperatures but I think we got your share of rain plus some. I think our area is supposed to get around 12 inches this week. I don’t mind a rainy day but I’m starting to forget what the sun looks like! Anne Gracie is on my TBR. Her books look really good and I’ve got the 2nd book in the Seven Sisters coming up on my audio TBR. I love the concept of the story. I rather enjoy Anne Gracie – she writes a good historical romance. 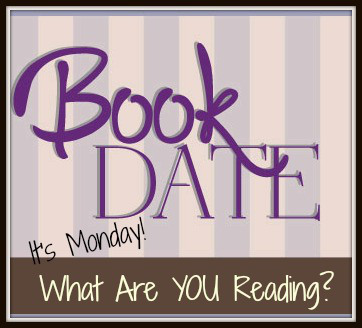 I finished Emily Giffin’s All We Ever Wanted last night, and then started Beautiful Player by Christina Lauren. Not sure what’s up next after that! Ha – winter is sure very long! It’s been unseasonably warm here – gives the feeling that spring is just around the corner. I’m happy to be participating in IMWAYR this week! Have a great week Kathryn! Nice to see you here Pat. That’s funny Mary, you moving snow and me wood. I’m on the waiting list at my library for the Sally Field book. Looks great. Hope you have a great week! It’s snowing right now. I would enjoy a bit of summer, but that will come in its due time. I enjoy middle grade stories. I’ll have to check out The Wednesday Wars. Thanks for sharing. California has had more snow than Boston which is unusual. We’ve also had rain, flooding, roads washed out. Fortunately near us the damage has been minimal. Sounds like you got a lot of reading done I enjoyed Sally Field’s book. Thanks for hosting. Have a nice week. In north Florida we’ve had a mild winter – only two days freezing. Wednesday’s Wars looks like fun. I haven’t read an Anne Gracie book for a number of years. Hope you enjoyed Marry in Scandal. Happy Reading! I like occasionally like reading a good middle grade novel. I envy your hot dry weather! Happy reading. Tried to add my link, but it says Link Party has ended. Thanks Nise, yes just fixing – I think its okay for now. I am going to put yours in and see how it goes! Your books all look tempting. Enjoy them…and I can definitely relate to brown summers. Have a great week! The link doesn’t seem to be accepting anyone to the party. Thanks Laurel-Rain – I think I picked up last weeks code but have fixed it, I see you’ve put yours in so that’s good! Ah yes – brown summers!